Carnation cafe is one of my top 3 restaurants to eat at regularly. It’s reasonably priced, has some great seating indoors and outdoors near main street (which is awesome when it’s parade time), and features unique food you can’t get anywhere else in the park. One of my Facebook friends posted a recommendation to try this, and she was right on the money! 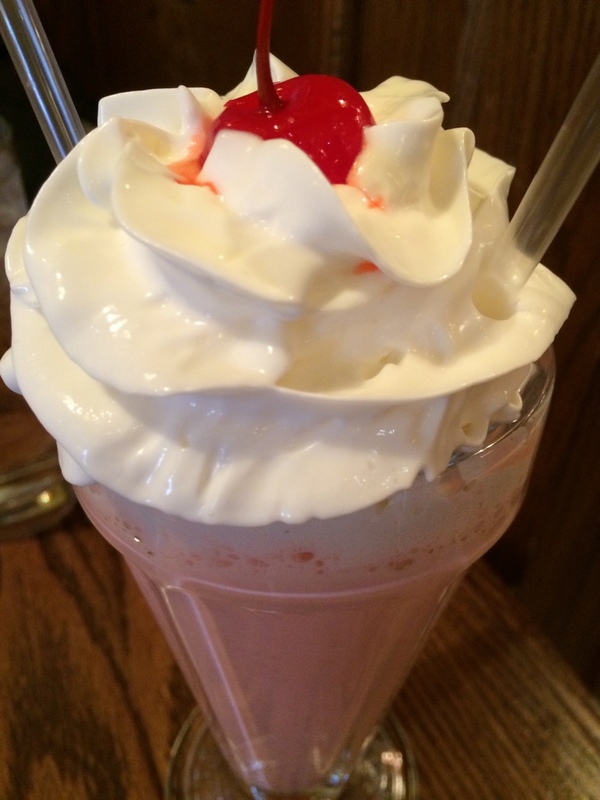 It’s rich and creamy with blended cherries that add a bit of texture when you take a sip from your straw. 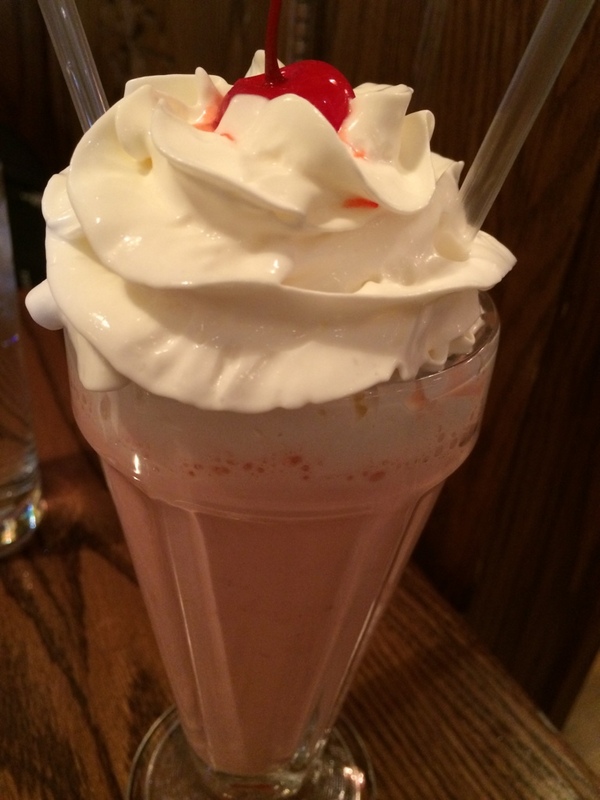 It’s also a bit less sweet than milkshakes I’ve tried at chain restaurants, but I definitely preferred it this way. One sip and I was hooked! 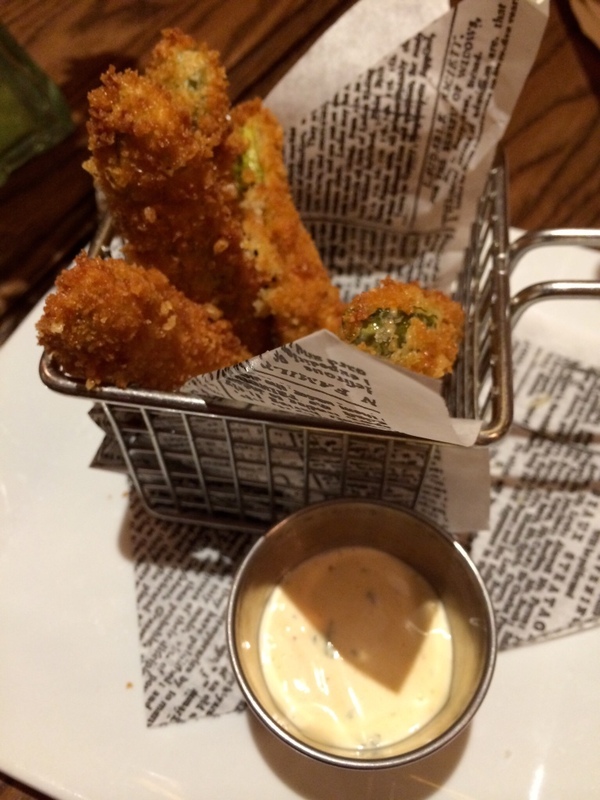 If you like fried things and you like pickles, you will definitely love these fried pickles. 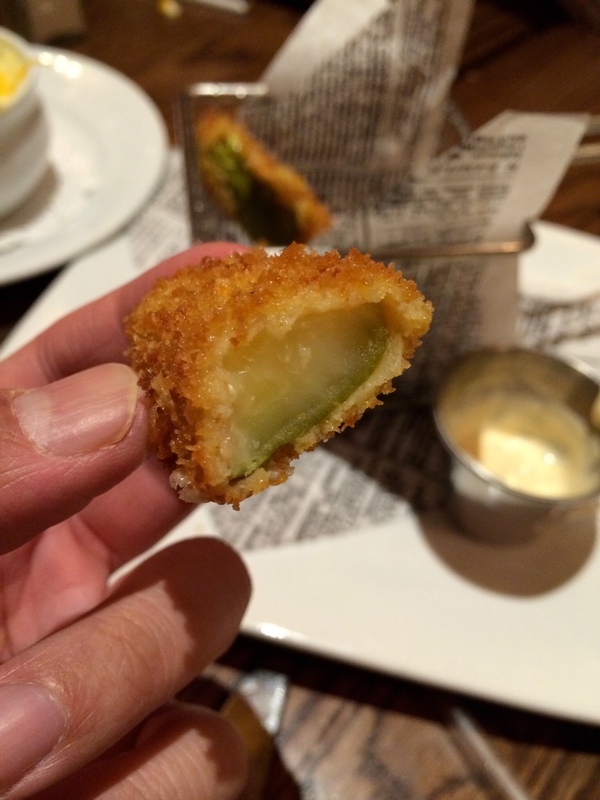 Pickle wedges have been breaded and deep fried, and served in a tiny frying basket with dipping sauce on the side. One bite and you’ll sink into the crispiness of the breading and the slight crunch of the pickle itself. 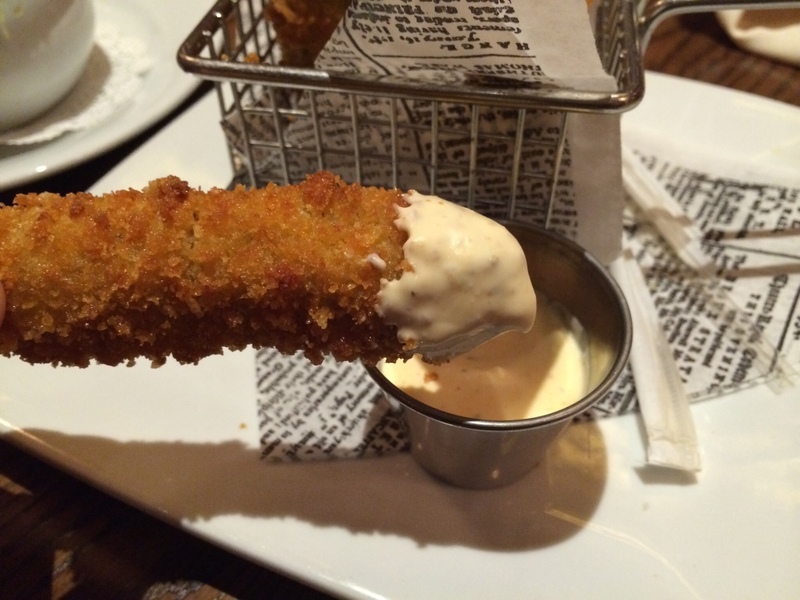 The aioli dipping sauce balances the tanginess. This soup is amazing! It’s a magical medley of chicken broth, cream, potatoes, bacon, and cheese that tastes so heavenly, you will eat the entire bowl and possibly order another. Just try it! 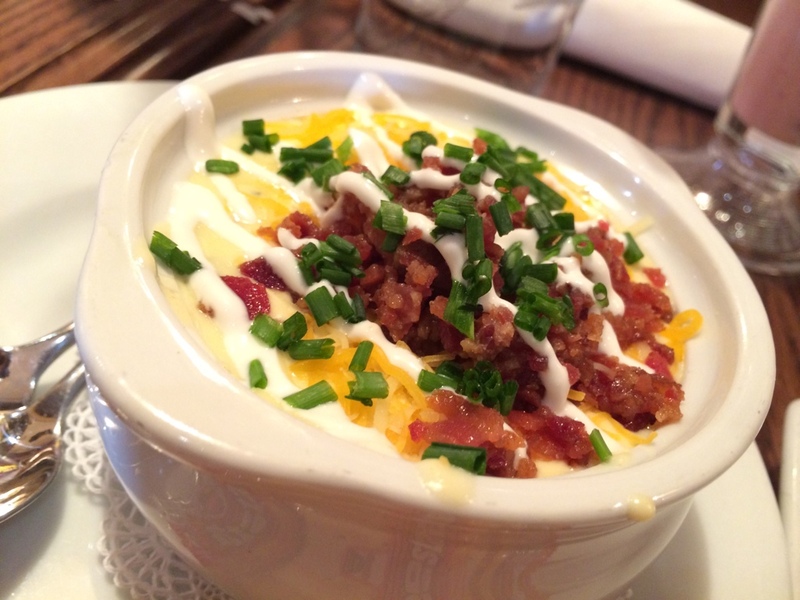 And if you’re trying to decide between the famous chili (also at Carnation) or the baked potato soup, get the baked potato soup, for sure. Hungry yet? Make a reservation online to eat here sometime and try one of these foods. You won’t regret it. Or go all out and order all 3 for an a la carte meal, like I did. Lol.